When I committed to October Unprocessed last year for the first time, I didn’t think it would be that big of a challenge considering how I eat already. I am a whole foods kind of girl. Already, when I go to my local co-op, I buy one-ingredient items or produce. I’ve already gotten into the habit of “processing” from scratch the foods I want to eat, such as condiments and bread. But when the month began and I took a closer look at my daily food choices, I realized I had room to grow. I took on the challenge with gusto as an opportunity to learn how to make the processed foods I do indulge in. I came to realize that going unprocessed does not mean totally abandoning the foods I love or surviving a month of diet-like denial. Often we buy processed foods out of convenience, thinking it would be too complicated, time-consuming or just plain impossible to make them from scratch. Well as it turns out, almond milk, a processed food I used to buy on a regular basis, is not. A product that used to come from the store in a tetra pak now sits in a mason jar in my fridge, with an ingredient list that consists solely of water and almonds. A result of last year’s challenge has now become a seamless part of my weekly routine and a constant reminder of how easy and satisfying going unprocessed can be. As far as the economic benefits are concerned, I was able to get about three cups of raw almonds out of a pound, which yields about three quarts of almond milk. Considering that I spent around $6 for the almonds and usually spend $2 – $2.50 on a container of almond milk, I pretty much broke even as far as cost was concerned. However, the benefit that comes with making your own almond milk, besides the pride, is being able to make the quantity you want. 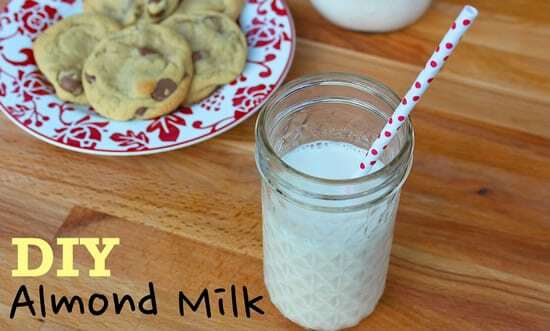 Drinking a quart of almond milk can be a little bit of a challenge for one girl, but being able to make just a pint, which is not an option with commercially produced non-dairy milks, is priceless. Also, the almond paste bi-product I strain out makes a great, protein-tastic addition to a smoothie. Let’s also consider packaging. Like I said, I was able to get three quarts of almond milk out of one package of Trader Joe’s raw almonds. So theoretically, I went from three rectangular containers to one plastic bag. Better yet, when I buy my almonds in bulk with my reusable produce sack, I’m down to no packaging at all! Score! So, the verdict? Making your own almond milk is totally worth the effort and makes me happy every week! Check out this short video to see just how easy and fun it can be! From Can It, Bottle It, Smoke It by Karen Solomon. Be advised: Homemade almond milk is a little grainier than you’ll be used to if you’re a processed almond milk drinker. It grows on you though and is virtually unnoticeable in a smoothie. Put the almonds in a mixing bowl and cover with water. Let sit for at least 6 hours. Strain the almonds and put in a blender with 4 cups of water. (It must be a blender, not a food processor – trust my previous experience on this one.) Blend for a full 2 minutes. Strain the blended mixture into a quart-size canning jar using a fine sieve. Press the solids through with a rubber spatula. Periodically, scrape the solids from the sieve (save them for smoothies) and rinse the sieve to enable more liquid to pass through. Strain the first liquid through the sieve again, this time without pushing the mixture through. 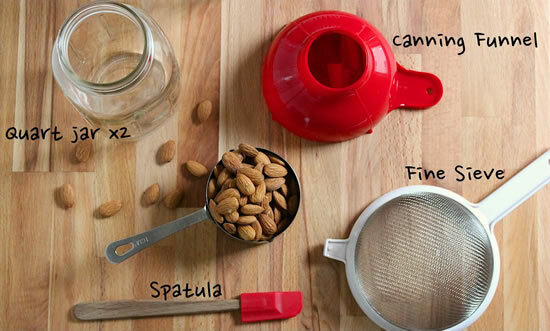 What you end up with in that jar is your finished product – DIY Almond Milk! To avoid the graininess, all you need is a nut milk bag added to your straining step. I use a nice one (that came with my Vitamix) and it comes out totally smooth and not grainy in the slightest. Yup, ditto the nut milk bag – if you’re in Portland, OR – get one cheap at Mirador. I have a couple (they are cheap), I use mine for making juice also. Love it! I need to start making some almond milk. I’ve been sticking to cashew milk, but there’s no need for that. Variety is the spice of life! I’ve tried all kinds of milk alternatives like soy, rice and oat, but like almond milk the best. 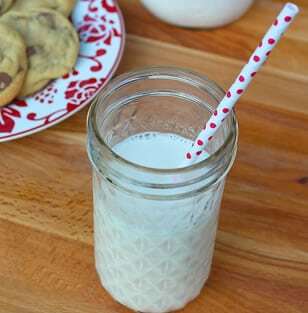 Homemade almond milk is definitely worth the effort and I love that you can make it simply from almonds and water. Thanks for the reminder on how simple it is to make your own and not need the boxed stuff.